Each of our three main divisions offers a wide range of specialist services and products. 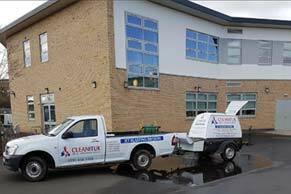 Comprehensive cleaning and maintenance services including window cleaning, builders cleans, diamond floor polishing, daily office cleaning, bird control services, emergency flood response, ground maintenance and jet washing. Specialises in the installation, repair and maintenance of all types of doors, windows, roller shutters and emergency lighting. 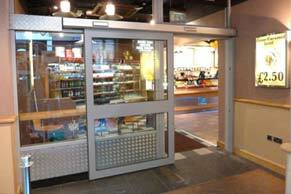 This division also supplies CCTV, entry systems, push pads, grilles, smoke and fire alarms. 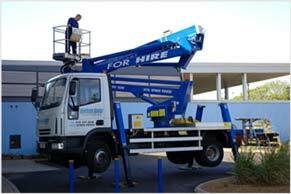 Operates van and truck mount access platforms with IPAF qualified operator or self-drive units. The range also includes scissor lifts, Self Propelled booms and spider platforms. This is the second time I've met your cherry picker operator Bill and he's like an old friend to us! He's also a credit to you regarding your marketing. He also spoke to a lady from the council who came across to our site. She had a need for his services some time!